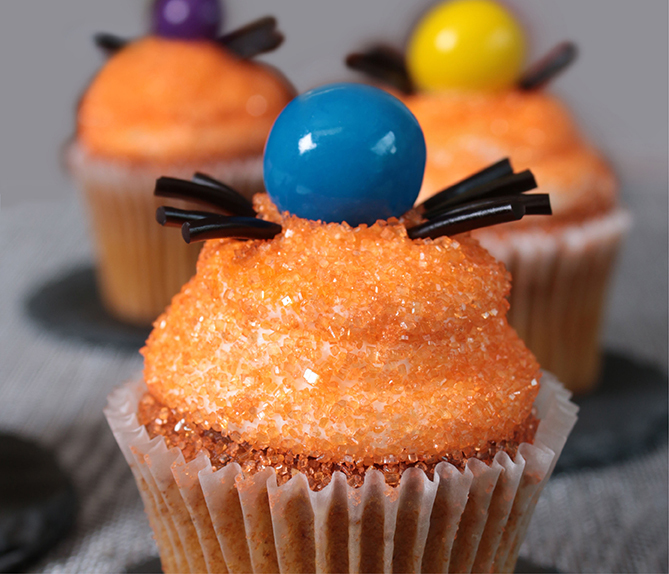 Dip top of cupcakes in orange sugar to coat thoroughly, pressing slightly to flatten. Place 1 gum ball on top for the spider bodies. Cut licorice into 1/2” (1.2 cm) pieces. Place 4 on each side of candy for the legs. Purple string licorice looks good too.